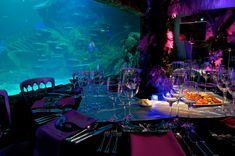 Home » Blog » Top 10 tips on how to organise a great Dinner Dance event! 1. Decide on an exciting venue. If you’re spending money wowing guests with dinner and dancing, you may as well find a venue that will impress your guests as well. Try Unique Venues of London to see a whole range of the interesting options available in the city. 2. Organise the guest list. No event is going to run smoothly without one of these. 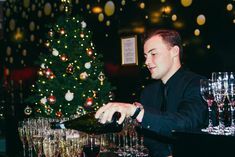 Have names in alphabetical order; this sounds like a bore but believe me, when you’ve got a group of 20 arriving at once, you need to be able to tick them off quickly so they can get in and grab a drink. 3. Communicate dietary requirements early. If people are dancing afterwards, you want to make sure they aren’t experiencing tummy complaints. Going with an established caterer like Food by Dish will ensure your guests are ready and raring to party, not rushing to the bathrooms. Always have a vegetarian option and make sure there’s enough to line people’s stomachs. 4. Have plenty of table plans available for viewing. People never look at them and then get confused when suddenly confronted by tables. Make sure that the plans are large with names written clearly – this is not the time to use that swirly script font! If you have a theme, funky table names are great…no one will forget they’re sitting on the “Brad Pitt” table. Also, put the names in alphabetical order on the table plan and do NOT use name cards. People ignore them most of the time anyway. 5. Who’s sitting with who? Are you mixing it up and putting people together who don’t know each other? Or are you putting departments or friendship groups together? This can have a big impact on the atmosphere of the party and is worth taking the time to think through. 6. Excellent entertainment. Make sure that you start the dancing with a live band or particular act. This encourages people to get straight on the dance floor and you will avoid that awkward half an hour where no one wants to be the first and dance on their own. Sternberg Clarke provides a range of acts to suit any occasion. 7. An epic DJ! After the band has got everyone on their feet, you need to make sure the DJ keeps them there. A good DJ will read the room, know exactly what your guests want and give it to them, whether it’s Jackson 5, Britney Spears or Calvin Harris. A VJ (video DJ) set is also a great way to add atmosphere. 8. Theming…it’s always a good way to break the ice but if you’re going to do it, do it properly. Fancy dress creates memorable photographs and hilarious talking points but remember to dress the venue as well. It’s no point having a 1920’s theme but drinking from modern style glassware and sitting on a contemporary 70’s seat. Take a look at our Pinterest page for inspiration. 9. Let’s drink! What type of event do you want to have? If you want it to remain fairly civilised, avoid providing spirits. Is it going to be a cash bar or open bar? What will your guests like to drink? Take into account the male to female ratio…it should influence how much beer or wine you have in stock. 10. Think of the end of the party. If your event finishes after the last tube/bus, what is the plan? Are people staying in hotels? Can you get them a discount if you talk to a local hotel? Or if people are getting taxis somewhere, can people car-share? Having these plans in place will also make you look like a super thoughtful boss.